brisbane anti wrinkle & skin studio BULIMBA is here to get your skin glowing! All Sweat Socialites will receive a complimentary consultation and skin treatment (microdermabrasion & enzyme peel) by the babes at Brisbane Anti Wrinkle & Skin Studio Bulimba! In addition to that, members will also receive 25% off skin & laser treatments and 10% off injectables to keep you feeling fresh all year round! Offer valid at Bulimba clinic only and must be used within 2 months of signing up as a Sweat Social Member. Simply show your membership confirmation email at your appointment to receive your complimentary treatment! discounts on our fav bowls! All Sweat Socialites now receive 10% off at all Kiss The Berry stores! Our fav açai bowls never tasted so good! Simply show your membership confirmation in store to receive the goods. 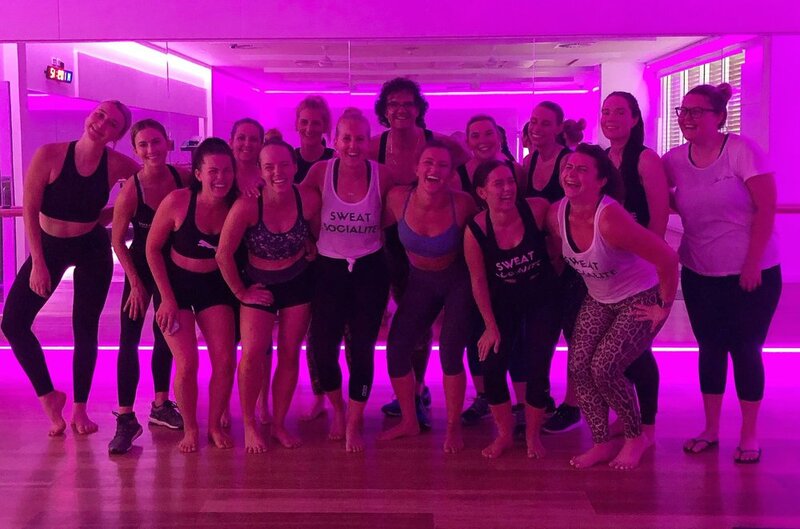 Sunday December 16- Total Fusion Chermside- Fun, mindful movement and innovation is at the core of everything the wonderful team at Total Fusion do and in December, we’ll be put through our paces with the Total Fusion Signature workout. Done in a Infrared heated room at 33 degrees, this one is guaranteed to get the sweaty flowing! Sunday January 20- F45 Training Paddington (Australia’s NUMBER 1 F45 studio! )- If you haven’t heard of or tried an F45 workout yet, where the heck have you been living?! F45 Training is the world’s fastest growing functional training network specialising in innovative, high intensity group workouts that are fast, fun and proven to get rapid results for members.